Three cheers for local talent! Forbes’ inaugural 30 Under 30 Asia list has been released, and among the ranks of South Korean idol G-Dragon and famous actors Liam Hemsworth and Kim Soo Hyun, stand a number of outstanding Singaporean talents. The judges of this Forbes List are Malaysian actress Michelle Yeoh, executive vice-president Nikki Semin Han of South Korea entertainment agency SM Entertainment and Singaporean film director Anthony Chen. We take a look at seven of these Singaporean individuals who received this honour, in no particular order. Going by stage name Gentle Bones, Joel Tan debuted in 2014 and has reached the top charts on iTunes and Spotify. The Forbes list describes Tan as “Singapore’s Ed Sheeran and a rising regional star”. On being picked, Tan shared that he is “extremely humbled to be part of this Forbes list and representing Singapore among great talent”. His debut show in Singapore, to be held on Jun 10 at Esplanade Concert Hall, sold out within 10 days, prompting a second show on Jun 11. 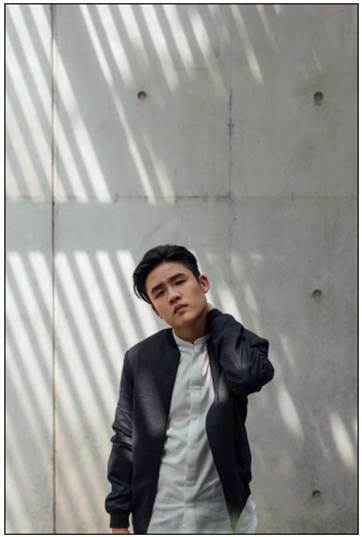 The 21-year-old is the first indie artist here to hold a full concert, and the first Singaporean singer-songwriter to stage two shows at the Esplanade Concert Hall. Rachel Lim, who founded the local fashion brand in 2006 with Velda Tan, is tech-, trend- and business-savvy. She is often seen by young women here as an inspiration. From its early days as blogshop BonitoChico, Love, Bonito has now blossomed into a thriving e-commerce fashion outlet that’s extremely popular with the ladies of Singapore. Tan has left and Lim now runs the label with Tan’s younger sister, Viola. The go-to local Youtubers for a fit of giggles, this husband-wife comedian duo has churned out regular side-splitting skits that poke fun at everyday topics and people in Singapore. Tan and Chan started the Youtube channel Night Owl Cinematics – under the username Ryan Sylvia – in 2013, and now have about 450,000 subscribers. If you’ve ever needed to clear your pre-loved items or hunt for some cheap deals, local e-marketplace Carousell was probably one of the tools you used. The fuss-free app has garnered much support from both consumers and businesses; in 2014, Sequoia India pumped in a US$6 million ($7.8 million) investment deal for the shopping app to go global. Last month, as reported on Business Times, Carousell announced that a former Airbnb managing director, Chai Jia Jih, has been appointed as its new vice-president, international. That’s right: Carousell has plans to expand globally. There’s been some chatter about why the third founder of Carousell, Marcus Tan, hasn’t been listed on Forbes Asia. Nevertheless, congratulations to the Carousell team for its growing success. Handling as many as 10,000 deliveries a day, according to various sources, Ninja Van is a local delivery company to rival the big guys. If you’ve ordered from websites like Zalora and Lazada, your purchases may have been sent to you via Ninja Van. Ninja Van’s CEO is Lai Chang Wen, who was also the CEO and founder of custom retailer, Marcella. Congratulations to the talented Singaporeans who have been listed in the Forbes Asia 30 Under 30 list! Previous PostTop 5 things to do in Taiwan Next PostCarne & Caipirinha Brazilian Churrascaria: Waiter, my pasta is on fire!